There was a study published in the Singapore Medical Journal on the year 2014 that found that at least 1 in 6 youths are at risk of noise-induced hearing loss. It has been revealed that it was caused by listening to music in high volumes while wearing earphones. Because of that, we should be more aware of our hearing and take measures to protect it. Music played through earphones can be especially risky because it fits directly onto the ears. But even though over-the-ear headphones are more recommended, it still doesn’t mean that you should listen to your music on maximum volume. 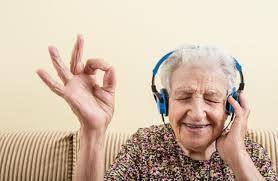 It is recommended that the volume you listen to on your earpiece should not exceed 60 percent. We may not take much notice of it but a good amount of physical activity can also benefit our hearing health. Doing exercise helps blood circulation and keeps it pumping throughout the body. The increase in blood flow can greatly benefit the ears’ nerves and tissues, keeping it healthy and helping ot to function well. When you are exposed to loud sounds for even just a night, it is said that it can take up to about 16 long quiet hours for the ears to fully recover. If you are working in a loud place, step out for a while so that you can minimize or prevent the damage to your ears. It may not look like it but giving the ears even just a small time to rest can save us from hearing loss. 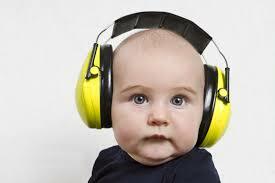 If you are in an environment where loud noise is apparent and unavoidable, use some ear protection. Though it’s a bit ironic, wearing earplugs even in concerts and EDM parties/festivals not only protects your hearing from the big booming speakers, it also helps you hear the original quality of the sounds better. The simple act of drying our ears can sometimes be disregarded. But even a small amount of water that remains in the ear can be an environment that promotes the growth of bacteria. Hence, you should take extra caution after swimming. You get a very distinct feeling when water is trapped in your ear and it can surely be uncomfortable. Don’t brush this off and simply tilt your head so that the ear faces the ground and lightly tug at your earlobes to let the water out. Using cotton buds, you will push earwax deeper into your ears instead of removing them. If you do this, you might even run the risk of puncturing your eardrums, and it’s not going to be a very pleasant experience. Plus, your ears are self-cleaning organs. The skin in our ear canal grows outward so earwax naturally goes with it.